Available in hardcover, softcover, eBook, or audio book formats. To purchase or review a chapter sample, visit our Store or your favorite book retailer such as Amazon or Barnes and Noble. Business Book Summaries described it as “a gripping personal narrative” whose lessons will help leaders at all levels. How did American military leaders in the brutal POW camps of North Vietnam inspire their followers for six, seven, and even eight years to remain committed to the mission, resist a cruel enemy, and return home with honor? What leadership principles engendered such extreme devotion, perseverance, and teamwork? In this powerful and practical book, Lee Ellis, a former Air Force pilot, candidly talks about his five and a half years of captivity and the 14 key leadership principles behind this amazing story. As a successful executive coach and corporate consultant, he helps leaders of Fortune 500 companies, healthcare executives, small business owners, and entrepreneurs utilize these same pressure-tested principles to increase their personal and organizational success. – Courageous lessons from POW leaders facing torture in the crucible of captivity. – How successful teams are applying these same lessons and principles. – How to implement these lessons using the Coaching sessions provided in each chapter. This book is ideal for individual or group study as a personal development, coaching, human resource development, or executive training resource. 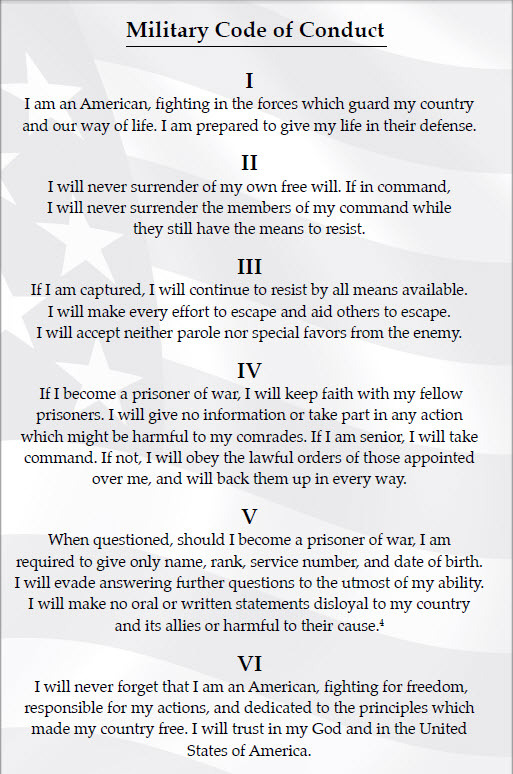 Download a copy of the Military Code of Conduct that Lee mentions in his book. It comprised the core values that he and his comrades followed to unify, resist, survive, and return home with honor. We’ve also created our own Honor Code that you can also download. Included in the book are Coaching sections to apply the lesson that you’ve learned in each chapter. These digital handouts can help readers further implement the lessons taught in the book. They are free to use for individual or group development. Please make as many copies as needed. This section provides 8 brief coaching clips from a past speaking engagement on Leading with Honor topics. Please watch to further deepen your experience with the book. 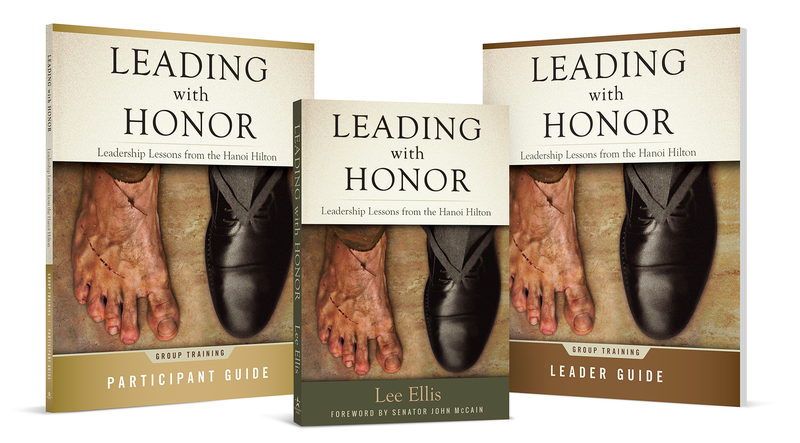 Below are just a few of the 40+ endorsements generously given for Lee and the Leading with Honor book. Read all of them in our Endorsements section. Leading with Honor Group Training self-study resources are available for personal or team development. Would you like feature Lee Ellis on your TV, radio, online, or print media outlet? Inquire in the Public Relations section. In the meantime, watch sample media appearances in the Video/Audio section. Would you like for Lee Ellis to speak or present for your event or organization? Inquire in the Speaking section for fees and availability. Watch Lee’s sample keynote presentation clip in the Speaking section.